#Sackville Is Getting….A……Another Pizza Shop! | Sack-Vegas!!!! Lookee Lookee! 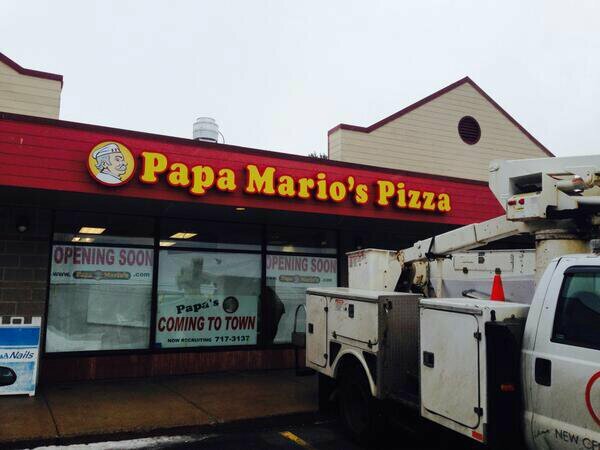 Papa Mario’s is gearing up to open soon. We have all seen the signs in the window (601 Sackville Drive, Kingsway Court) for weeks and now it looks like they are almost ready to open. I see they have locations in Halifax and Bedford. Has anyone tried the food out of those spots? I see they are into the shawarma game from checking out their website (above), that should make a few people around here happy. I know it’s a huge running joke about how many pizza shops, coffee shops and used car dealerships we have for the size of our area but I say why not? New business is new business and it means jobs. We have seen other places open recently like Midday Bistro, Buritto Jax and Wasabi House so we can’t complain about only having burgers and pizza- lots to choose from! Now all we need is a price war on pizza, he he. Welcome to the ‘Sack Papa Mario’s ! Posted by Sacky on January 7, 2014 in Snack-Vegas (Thought for food), Welcome To Sackville! and tagged Papa Mario's, Pizza, Sackville.